Hungry Pigeon to serve a special Passover menu. Passover, the Jewish holiday that commemorates the liberation of the Israelites and their flight from Egypt, lasts for up to eight days. This year, it will begin the evening of Friday, March 30, and will end the evening of Saturday, April 7. If you plan on celebrating with family and friends in Philly, consider dining out. The four restaurants in the roundup below are offering multicourse, prix fixe menus for Passover – with plenty of matzo. Hungry Pigeon in Queen Village will offer a special menu on the first night of Passover. The meal will include smoked salmon, latkes, pickled egg salad, matzo ball soup, beef brisket, potato kugel and bitter green salad. Flourless chocolate cake will be served for dessert. Jewish restaurant Abe Fisher will offer a special Passover dinner menu for $48 per person. 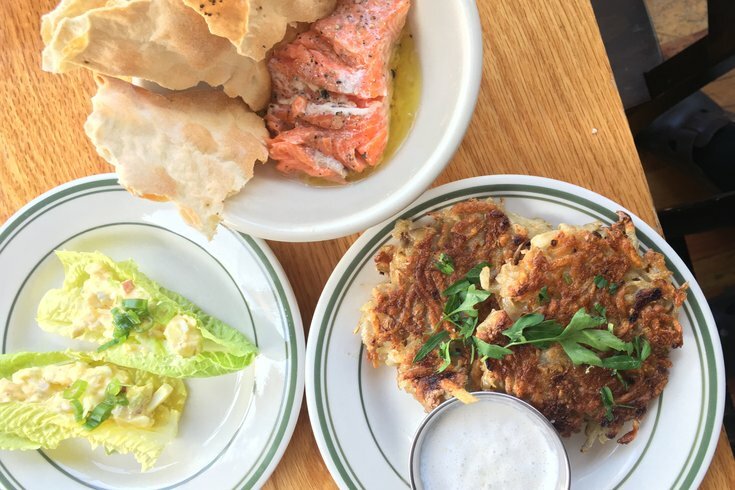 Included is house-made matzo, snacks, soup, salad, whole-roasted black bass and dessert. View the full Passover menu here. Each year, London Grill in Fairmount offers a special menu for Passover. For $45 per person, guests will enjoy a traditional seder plate, gefilte fish, matzo ball soup, an entrée of their choice and dessert. A variety of Israeli wines will also be available, and guests can choose from several festive Passover cocktails to pair with their meal. Enjoy a chef’s tasting menu with optional sommelier-suggested wine pairings during the entire Passover holiday. The four-course meal will include matzo ball soup, sfoglietti, beef brisket and dessert. The price is $45 per person.